Amani Children's Home hasn't added a story. Amani’s Big Challenge is to purchase and build a new Education Center in the city of Arusha. The Amani Education Centre will more effectively rescue and transition children from street life to Amani Children’s Home and school and,when possible, reunify them with their extended families. The Education Centre will provide services to 80‐100 street children aged 8-17 every year, a safe haven where children can sleep, bathe and eat, a social worker on duty 24/7 for counseling, education programs, help with drug addiction, provide basic medical care and recreational activities. This will double the current support Amani provides to the Tanzanian street children. Help Amani realize their ambitious and compassionate goal! 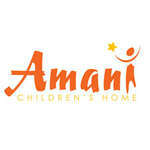 Amani Children's Home hasn't posted any updates yet. Summit Stories is proud to support Amani Children's Home with our climb of Mount Kilimanjaro. Read more about our projects here. Amani Children's Home is managing the funds for this campaign.